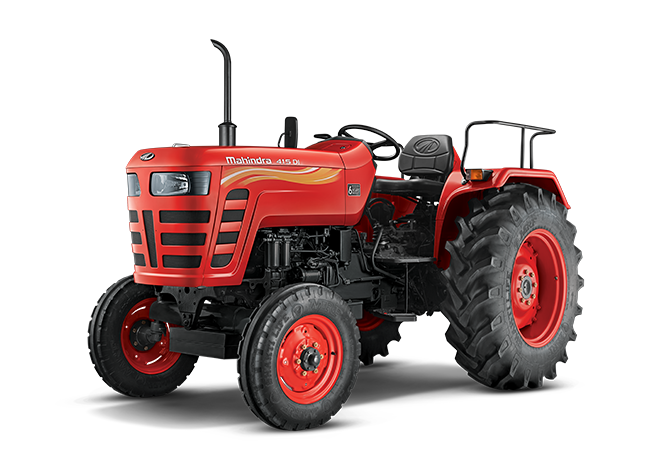 I agree that by clicking 'Request a Demo' button below I am explicitly soliciting a call from Mahindra or its partner on my 'Mobile' in order to assist me with my tractor purchase. 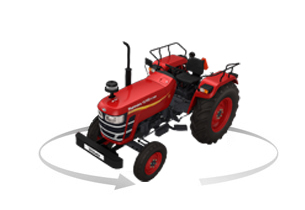 18% more back up torque: Lesser drop in RPM and a powerful engine to ensure you remain unstoppable even on hard soil. 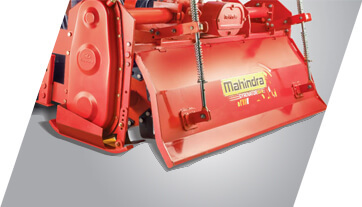 More power: Now get the ability to work with bigger implements. 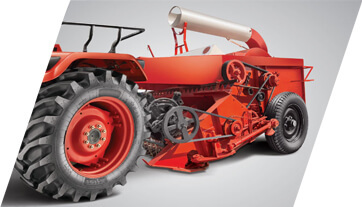 Covers more ground while consuming lesser diesel, giving you even more savings. Service interval of 400 hours: A longer service interval means one less servicing every year. Dry type air cleaner: Reduced time in cleaning the air cleaner means even more ease in maintenance. 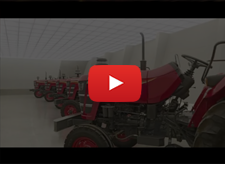 Parallel cooling system: Engine remains cooler for longer, so you can work longer. 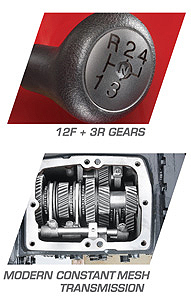 12F+3R gear box: It's the first in the 30-45HP range, allowing you to work with any tool with greater speed. 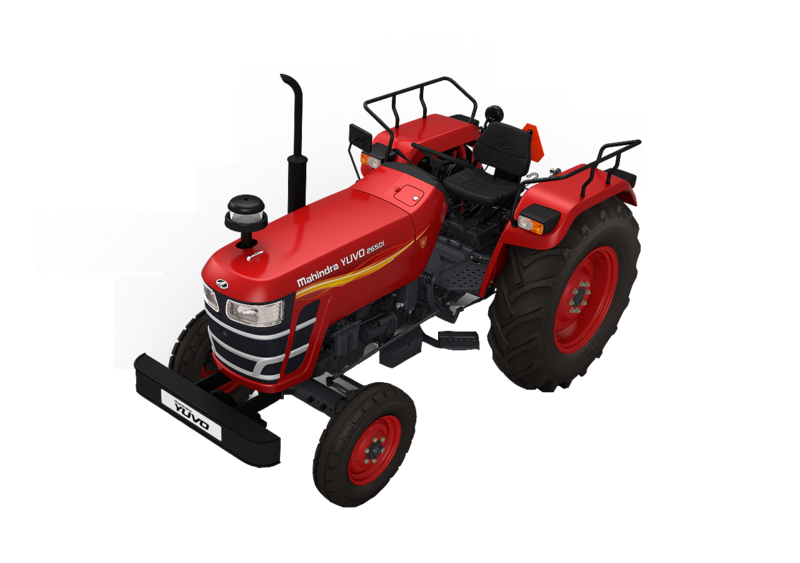 Speed range 1.45 to 30.5 kmph: Now you have several speed options, from ploughing to harvesting. 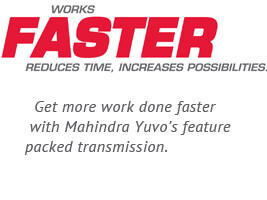 Full constant mesh, genuine side shift: Now you can shift gears with car-like ease. 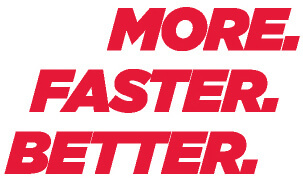 Responsive oil-immersed brakes: More powerful, maintenance-free brakes. Planetary drive: Reliable transmission and tough design. 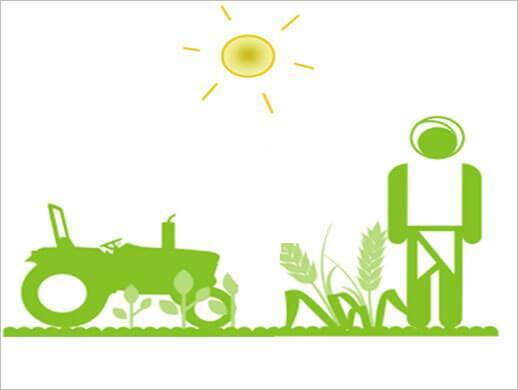 High-tech control valve design: Works with the right sensitivity on any type of soil and completes the task with precision. 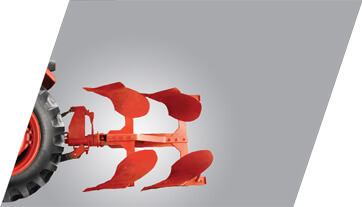 1500 KG lift capacity: Best-in-class lift capacity. Ergonomically located PC/DC controls: Works tirelessly for longer and produces better results. 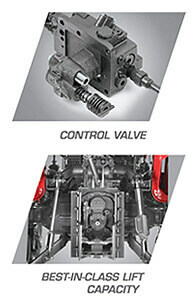 Side mounted control valve: The control valve can be removed with ease, without removing the hydraulic during servicing. Two-bolt mounted pump: Better service, effortlessly. Comfortable and adjustable deluxe seat. The area around the driver remains heat-free. Easy to reach lever that shifts with ease. Mount and dismount with ease. Bold wrap-around clear lens headlamps. 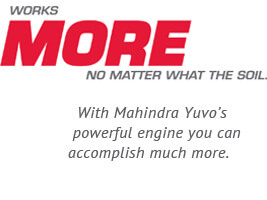 No matter what the implement, the Mahindra Yuvo works effortlessly with great gusto. 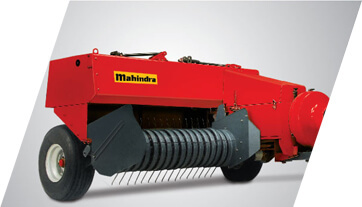 It produces even better results when used with the Mahindra Gyrovator. 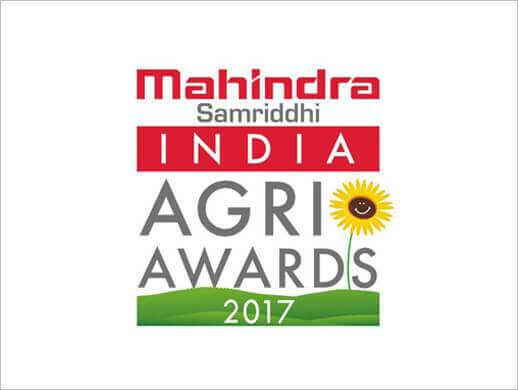 It has been made keeping your every farming need in mind. 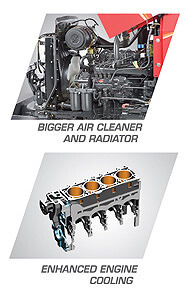 Powerful engine with max torque. 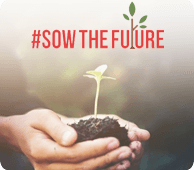 Works on any kind of soil. Planetary drive and oil-immersed brakes makes it the king of puddling. Uniform cooling always keeps the engine cool. Works for long, even in extreme heat. 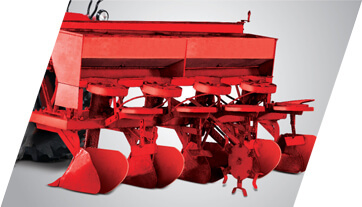 Provides equal depth for seeding. Provides uniform depth that doesn't ruin the potatoes. 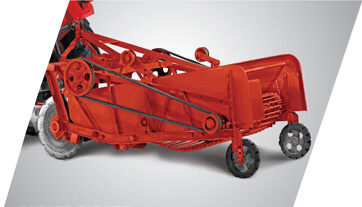 Low speed (L1 speed 4.15km/hr) ideal for reaping. 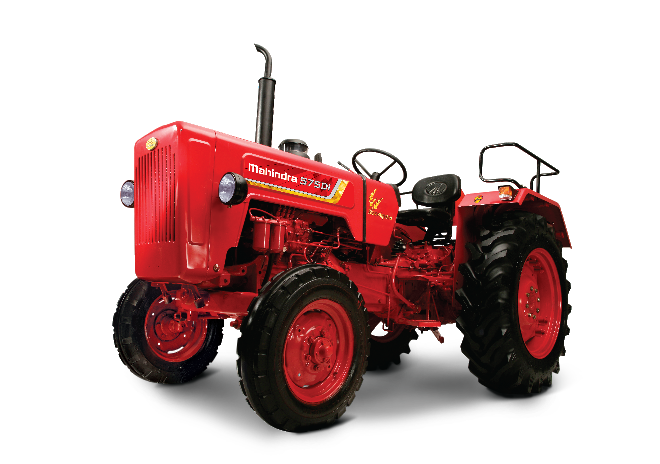 The best-in-class PTO HP, without any drop RPM. 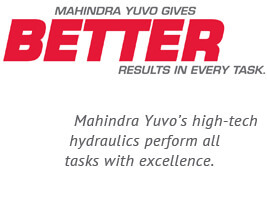 The best-in-class PTO HP, without any drop in RPM. 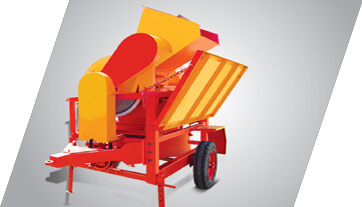 The best in making compact bales with several speed options. 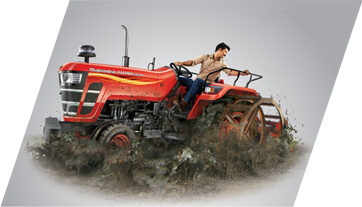 Can pulverize any type of soil. 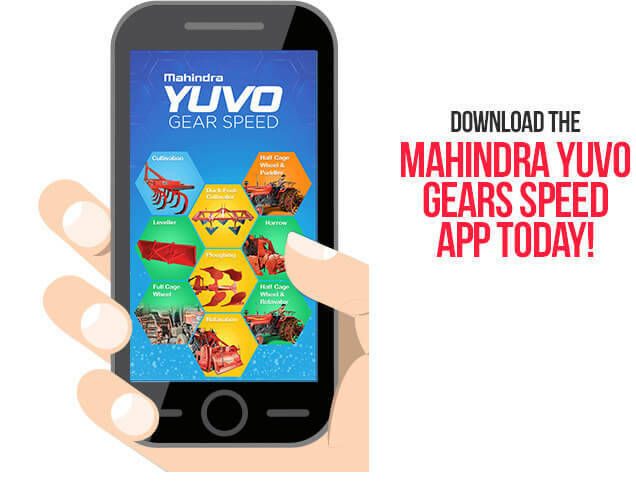 The Mahindra Yuvo Gear App assists Yuvo customers to select the right gear options based on Geography, Soil Type and implement. 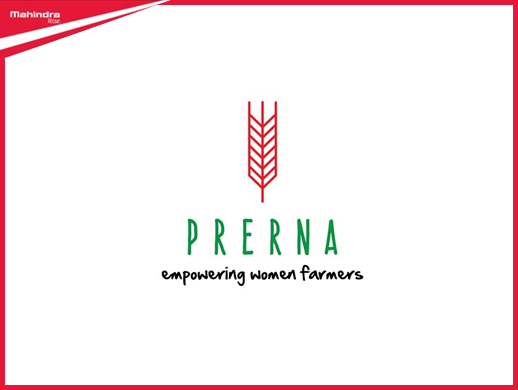 This enables customers to do More, Faster & Better work on their fields.